Applications can be used to increase efficiency and engagement from your employees leading to more accurate, consistent data as well as increased employee satisfaction. Generally when you think of apps you think of them being used for customers or the general consumer however apps have just as much effect internally than external. In a world going paperless, employees need an automatic platform to perform duties in an efficient manner. Having a way to free up time from mundane tasks that can be automated allows them to focus on more important and strategic goals. While external apps have goals such as reach and sales, internal apps focus on employee engagement and efficiency. Applications are simply a platform which holds potential for many versatile functions to suit any business need. Often tasks are needed to be completed on the go and without a way to perform this they may get forgotten or pushed back. A mobile app can help with on the go tasks. A great example of this would be Slack which is a communication platform for staff members. If you need to communicate a message quickly, send documents or resolve an issue, it allows you to do so from any location at any time. Often web apps can be migrating into mobile apps with the major differentiation being the accessibility of the app for being on the go. There are a few great advantages to this but I’ll just go through some of the main ones. Many web applications let tasks automatically be performed by the software, which leaves no room for human error and is far faster. 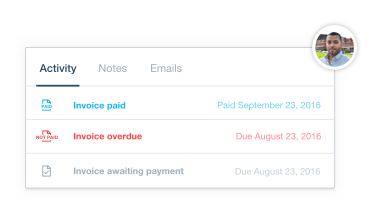 An example of this would be Expense Check which is an add-on to Xero accounting software which automatically collects bills from your gmail or Xero account and collates data from that to provide you information of the best supplier providers. Whether it’s automating bills, social media analytics, blog posts or anything else, there’s an app for that: if not, we’ll make you one! Having all data stored in the cloud or even on a remote server allows accurate data entry that can be retrieved quickly. This means analysis of work metrics are precise and therefore help to increase efficiency. The collection of data that has been inputted into your app will feed through giving you better insights into your business. Adding onto this is analytics which can be gained from applications easier and more accurately than any paper-based system. Transform big data into visualisations automatically with applications such as Xero or do it yourself to find specific information and trends using Tableau which is a data visualisation application that’s user-friendly enough to be used by anyone. With the ability to instantly extract data and see sales statistics and business processes, you can identify pain points within a fraction of the time it would take to do it all manually and therefore act faster and more accurately. There are many collaboration tools that have been developed as applications for both mobile and web. The standard ones such as Google Docs, Google Sheets and Google Drive let multiple users edit information at the same time and see all updates in real time. Collaboration allows multiple people to work on the same thing at the same time which produces a greater variety of results and better ideas. b. Padlet: Ideas can be formed and put together through a platform that allows multiple users to upload text, images, videos, etc. in a brainstorm onto the same page and comment on all of these. A fantastic example of this would be Hour Stack which allows employees to track the activities they do and the time it takes to be able to best manage their workload. The employee has the freedom to set themselves tasks and self manage their time. It also allows employers to see what tasks consume the most time of their employees and make businesses decisions based off that such as: their employee is spending too much time on this task and whether the issue lies with the task or the employee? So there are some examples of the types of apps you might want in your business. But if you’re looking to make your own app or look for something really effective you have to think outside the box. Gamification is a new area of study which talks about taking tasks you do everyday and making them fun. This increases engagement and motivation of the users. In the workforce, this mean users will learn the application faster, enjoy it more and be more productive with their time. New to gamification? Click here. This is an application that can be integrated into chat systems such as Slack to increase team member morale and productivity. Team members award each other ‘tacos’ as a way to show gratitude. When a certain amount of tacos is accumulated, the team member can then spent those tacos on a reward set by the employer. Cisco created a challenge for their employees to increase their skills in social media by allocating 3 levels of certification: specialist, strategist and master. Note how none of these sound negative, making each milestone significant in its own way. Employees are engaged through consistent reminders that the end goal is something doable by achieving smaller (milestone) goals. This is part of Self Determination Theory’s aspect “competence” which describes that one of the three keys to user engagement is ensuring the user believes they can actually achieve the final outcome (Ryan and Deci 2000). But it’s not just tech companies that use gamified apps. The US Army gamified their recruitment process for potential candidates to play a ‘first person shooter’ type simulation which not only raises awareness about the army but also acts as an initiation test. Internal applications increase engagement which in turn increase efficiency, accuracy and consistency amongst employees. Do you have an app you want developed for your business? We create your own custom app with whatever features you want to best suit your business needs.